it's because I generally don't talk about work on here. I like to talk about clothes! and today it's something new! and I'm heading out the door to the next adventure. great outfit. 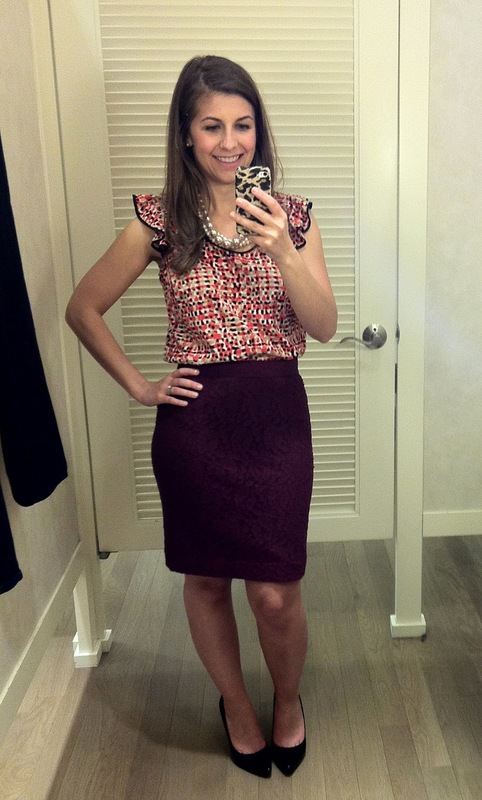 That plum color skirt is so pretty! Good luck on your first day! Have an amazing day at your first job and I love your outfit! I am now following you! Congratulations on your new job. You've got the perfect outfit! Good luck today! I'm a new follower coming over from Life as Mrs. B. I look forward to getting to know you through your blog! so how'd it go?? you looked adorable! Cute outfit! And good luck!! you got a new job! what! i feel so out of the loop!